Taha I Yousif, Katie O'Reilly, Montasser Nadeem. Bacterial meningitis is characterized by inflammation of the meninges covering the brain. It is a life-threatening illness, if untreated. The aim of this study was to examine whether blood tests including C-reactive protein (CRP) and full blood count (FBC) predict bacterial meningitis in children. We also examined the relationship between cerebrospinal fluid (CSF) tests including gram stain, culture and polymerase chain reaction (PCR) and blood tests such as culture and PCR results. We studied 11 patients admitted with bacterial meningitis in the Paediatric wards, National Children's Hospital, Dublin, Northern Ireland (2012-2016). The mean age was 10.7 (SD, 14.7) months. In this group of patients, 5 (45.5%) had leucocytosis, 7 (63.6%) experienced neutrophilia and 1 (9.1%) had both leukopenia and neutropenia. C-reactive protein (CRP) value of less than 1 mg/L was found in 2 patients (18.2%). No link was found between CSF gram stain and CSF culture (p value 0.66) or CSF PCR results (p value 0.75). Meningitis should be investigated and treated if clinically suspected, regardless of CRP values or peripheral blood results. Yousif TI, OReilly K, Nadeem M. Blood tests are not always helpful in predicting bacterial meningitis in children.. Sudan J Paed. 2016; 16(2): 77-79. Yousif TI, OReilly K, Nadeem M. Blood tests are not always helpful in predicting bacterial meningitis in children.. http://www.sudanjp.com/?mno=280620 [Access: April 22, 2019]. Yousif TI, OReilly K, Nadeem M. Blood tests are not always helpful in predicting bacterial meningitis in children.. Sudan J Paed. (2016), [cited April 22, 2019]; 16(2): 77-79. Yousif, T. I., OReilly, . K. & Nadeem, . M. (2016) Blood tests are not always helpful in predicting bacterial meningitis in children.. Sudan J Paed, 16 (2), 77-79. Yousif, Taha I, Katie OReilly, and Montasser Nadeem. 2016. Blood tests are not always helpful in predicting bacterial meningitis in children.. Sudanese Journal of Paediatrics, 16 (2), 77-79. Yousif, Taha I, Katie OReilly, and Montasser Nadeem. "Blood tests are not always helpful in predicting bacterial meningitis in children.." Sudanese Journal of Paediatrics 16 (2016), 77-79. Yousif, Taha I, Katie OReilly, and Montasser Nadeem. 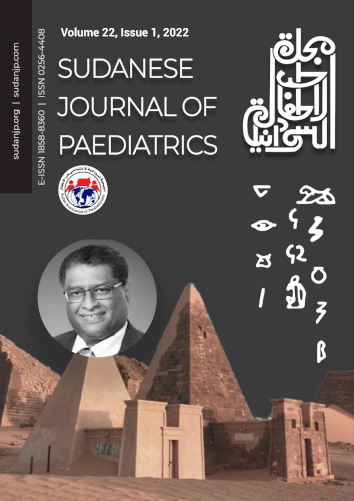 "Blood tests are not always helpful in predicting bacterial meningitis in children.." Sudanese Journal of Paediatrics 16.2 (2016), 77-79. Print. Yousif, T. I., OReilly, . K. & Nadeem, . M. (2016) Blood tests are not always helpful in predicting bacterial meningitis in children.. Sudanese Journal of Paediatrics, 16 (2), 77-79. Sudan J Paed. Year: 2016, Volume: 16, Issue: 2: 77-79.